With thanks to Brian R Clough, Andrew Milsom, and the Laycock family. 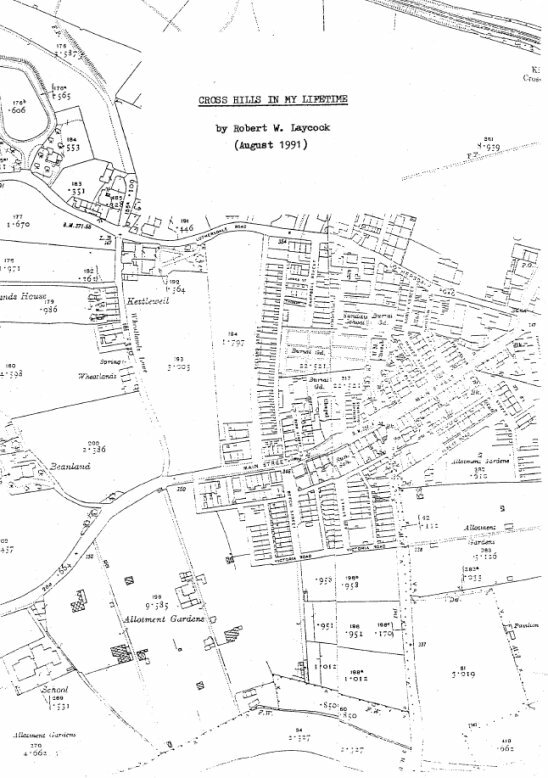 Robert (Bobby) Laycock had a shop and plumbing business on Main Street, Cross Hills. 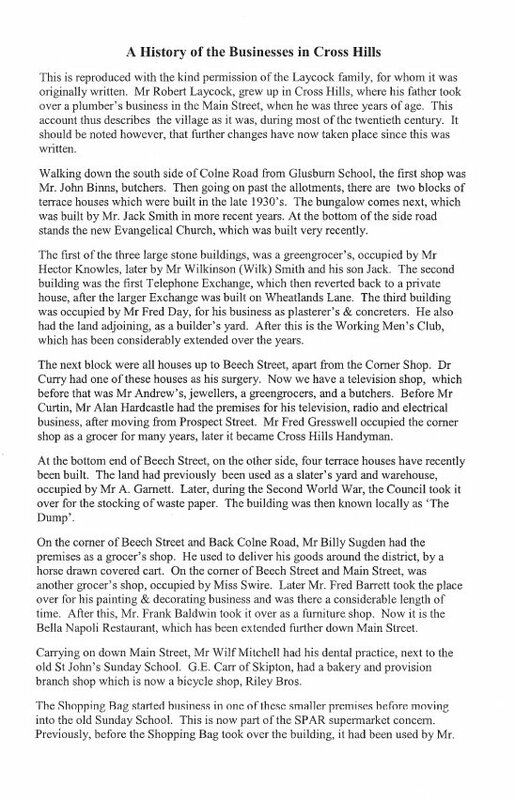 In 1991 he produced a write up of "Cross Hills Trades and Businesses" as he remembered them through his lifetime. With permission from the Laycock family, two versions are presented here: the first from Brian R Clough and the second from Andrew Milsom.